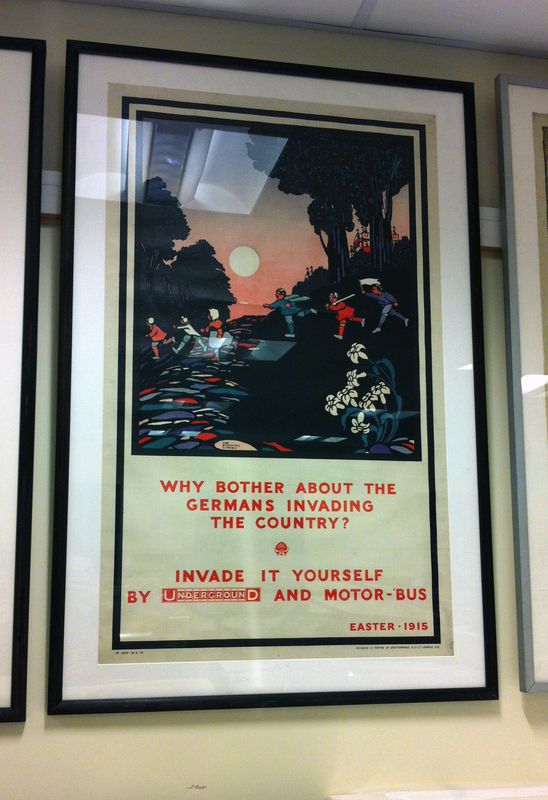 I was overjoyed when I heard about the new art tours offered by the London Transport Museum. History Lesson: Over the last 100 years or so, the London Underground has been a powerful patron of the arts. It commissioned art from both students and established artists, which were then made into posters to grace the walls of the tube. Some of these posters were blatant advertising (like the astoundingly un PC poster from 1915 below), but most used a more subtle approach. Ever see underground posters telling you about the exciting London nightlife? The latest West End shows? The food, festivals and bright sparkling lights? They don’t actually care about your cultural well being – they are just trying to stagger out rush-hour. Not kidding, for the last 100 years London Underground has been trying to convince passengers to stay in London after work – just so the tube doesn’t get clogged up. The Tour: The tour is run four times a year out at the MASSIVE London Transport depot in Acton. 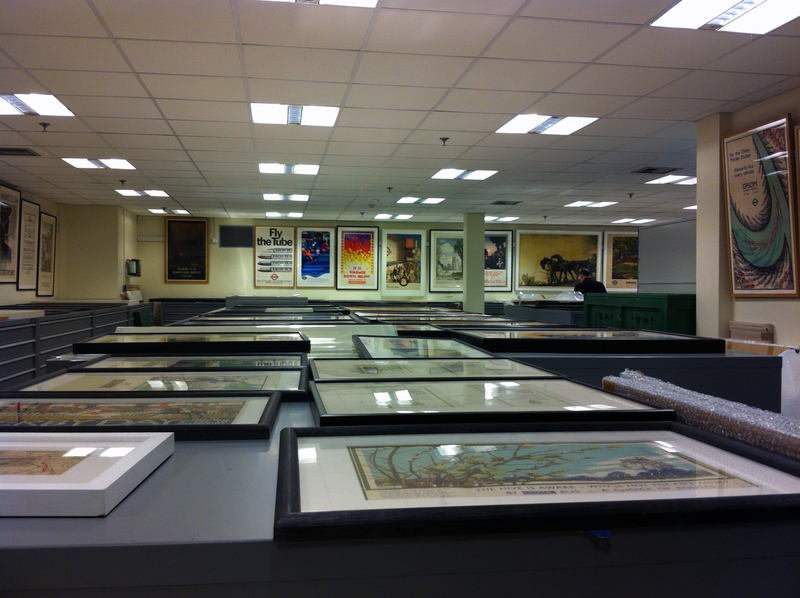 For £10 you get a 75 minute tour of their poster archive (they have a copy of every single poster since the start of the company, thats over 7,000 posters!) as well as getting a chance to see some of the original artwork up close. You don’t get to riffle through the collection yourself (the draws are locked for obvious reasons), but they have a selected few on the walls for you. Still a brilliant chance to see these rare posters and learn a bit about the history. Highlight: Seeing a copy of the Man Ray poster from 1938 – worth over £100,000. P.s. I discovered this gem in the Ian Visits email a couple of weeks ago – if you haven’t yet signed up, what are you waiting for?